By 2030, global demand for fresh water could outstrip supply by more than 40% if no changes are made to how we manage water. 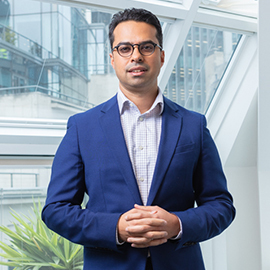 Junaid Seria, Head of Cat Model R&D and Governance, takes us through Cape Town’s “Day Zero” scenario and the lessons for at-risk Cities around the world. Climate change, through its disruption of the Earth’s water cycle, is introducing additional complexity by changing when, where and how much rain falls. Extreme changes in rainfall are putting strain on water management systems that were designed for a more stable climate. Another consequence of the prolonged droughts was the largest insured catastrophe in South African history: the fires in Knysna. Cape Town’s recent water crisis provides useful insights to help understand the interplay between climate change, socio-economic factors and water supply when assessing the resilience of cities to natural disasters. This Technical Newsletter looks at the key insights on water security and the vulnerability of cities provided by Cape Town’s experience, and at how (re)insurers can partner with cities to develop resilient risk-based solutions. Junaid Seria, Head of Cat Model R&D and Governance at SCOR Global P&C. SCOR is pleased to support the launch of the Satellite Index Insurance for Pastoralists in Ethiopia. The agricultural industry is faced with a plethora of risks, and some of its major loss drivers are weather-driven natural catastrophes.